Here below you can learn more about our most recent work in the local area. Our team will stop at nothing to make sure your garage door is up and running safely and smoothly as it should, so let us know if there’s anything we can do for you! 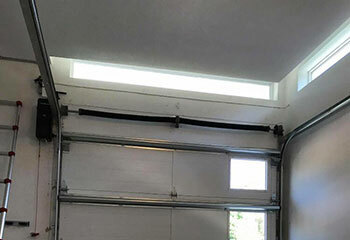 Customer Issue: The customer noticed that one of her garage door lift cables was badly frayed and needed to be replaced ASAP. Our Solution: Both cables had to be disconnected and unspooled to make sure the damage was limited to only the one that Mrs. Orra noticed. It wasn’t, so both cables were replaced as soon as our team could free the spools and gave them each a cleaning and lubricated them. 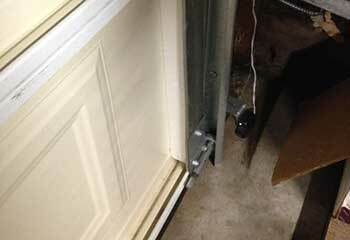 Customer Issue: This customer bought a new house and needed to replace the old garage door opener it had. 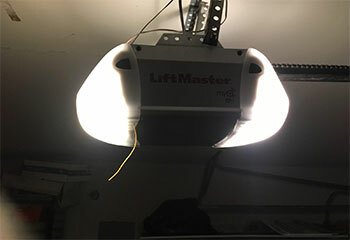 Our Solution: Our team removed the old unit and installed a new LiftMaster 8550W belt drive opener in its place (after presenting Mr. Harding with several different options). 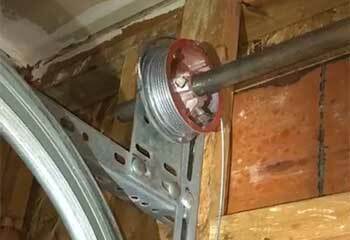 The old torsion spring was also getting worn, so we replaced it too to ensure the door could work without issues. 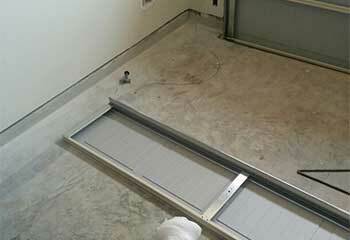 Our Solution: Only two of the door's panels were damaged, so a complete replacement wasn't necessary. We acquired two new panels from the door's manufacturer and then installed them in place of the old ones, making sure that it didn't damage the door's overall appearance. Customer Issue: Safety sensors got out of alignment. Our Solution: What often happens when the opener's photo eye sensors become misaligned is the door starts to reverse when the homeowner tries to close it. This is due to a 'false-positive', meaning the sensors are detecting an obstacle that's not actually there. To Fix the problem, we repositioned both units and made sure their lenses were clean and unscratched. Our Solution: It can be very dangerous to handle this type of component, so we took extra precautions before removing the damaged spring and replacing it with a new one. Before leaving, we made sure the new unit's tension was adjusted to the door's weight and balance.